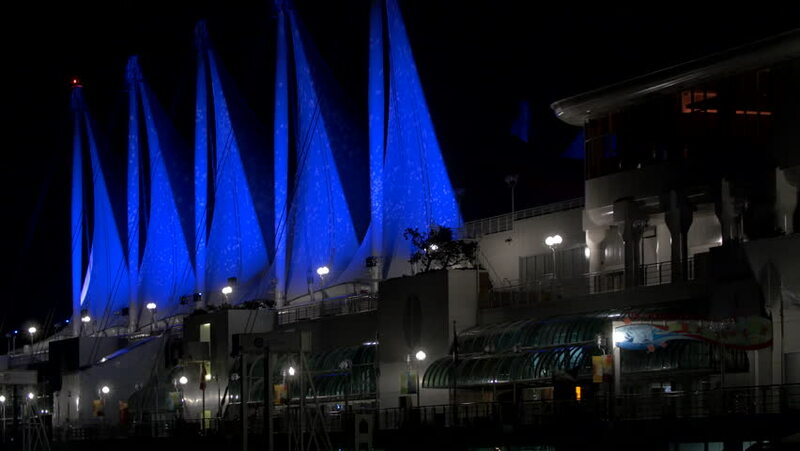 Vancouver - Canada Place - 24P - ProRes 4:2:2 10 Bit - UHD 4K View of Canada Place, Vancouver. Shot at night. hd00:25Kaohsiung, Taiwan-10 September, 2015: Container terminal at the night. Kaohsiung Port in Taiwan encompasses five container terminals and has an annual handling capacity 10 million containers.